Renting points to stay at a Disney Vacation Club (DVC) Villa is a smart way to save money on deluxe Disney accommodations. You can save as much as 50% or more off rack rates by renting points and that’s a very good value. Believe it or not, with a little smart planning you can stretch your money even further. Depending on where you stay, when you go and what kind of accommodations you choose, it’s possible to get even more value out of your rented points. Here are my top 5 ways to get the most bang for your buck. You can actually use DVC points to stay at some of Disney’s non-DVC resort hotels – however, I wouldn’t recommend it. DVC points are worth more when they are used to stay at the 11 DVC resorts. To illustrate my point I chose a random date – 11/19/12 – and compared the cost (in points) of 3 similar rooms at Walt Disney World. A standard view room at Port Orleans would run you 21 points. A garden view room at the Polynesian would cost 47 points – yow! In addition, Disney charges a $95 booking fee to use points at non-DVC resorts, regardless of the length of stay. Now compare that to Saratoga Springs (a DVC resort) where a deluxe studio would only be 16 points on that day. 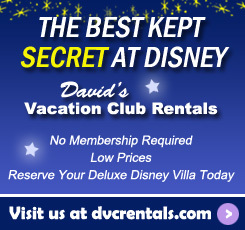 It’s easy to see that you’ll get the best value for your rented points when you use them to stay at DVC resorts. 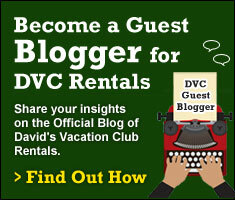 *Note: At David’s Vacation Club Rentals, we rent points for stays at DVC resorts only. As you can see, the value of your points is much higher during Adventure Season than it is in Premier Season. The number of points needed for any given villa on Friday and Saturday is always greater than it would be any other night of the week. For example, in the 2012 Dream season a deluxe studio at Beach Club Villas is 16 points per night, Sunday – Thursday. On Friday and Saturday, that room is 20 points per night. You’ll use fewer points when you avoid the weekends and plan your stay to occur during the week. Renting points at any DVC resort is always a good value when you compare it to paying Disney’s advertised rack rates. Within DVC, the number of points you need for a particular room type varies by resort, making some DVC resorts more affordable options than others. Below I grouped the resorts in terms of value. I based this on the average cost in points of each resort’s least expensive rooms, across all seasons. Although not fool-proof, it does give you a pretty good point from which to start your planning. Only you know what things are most important to you when deciding what sort of room you need. For some of us in-room laundry is a must have. For others there’s no need for a full kitchen on vacation. Sometimes, I just have to have the Jacuzzi tub in a 1-bedroom, even if I’m travelling solo. Other times, a studio that I share with a friend works out perfectly. To get the best value, decide what your minimal standards are and rent accordingly. Generally speaking – better views, more space and fancier accommodations will require more points. For the record, the most frugal DVC option is always going to be a standard view studio, or at Animal Kingdom Villas, a value studio. Those are my recommendations for the room types that will offer the most value per point. As with anything, there are many variables that factor into making the best choice for the most value when it comes to renting DVC points. My goal here was to shed a little light on what I think are the most important things to consider when trying to stretch your vacation budget. It really is possible to have an affordable Disney vacation when you have the right information. Visit our website for more tools to help you plan your trip, including the full 2012 and 2013 point charts, our point calculator, resort descriptions and more.